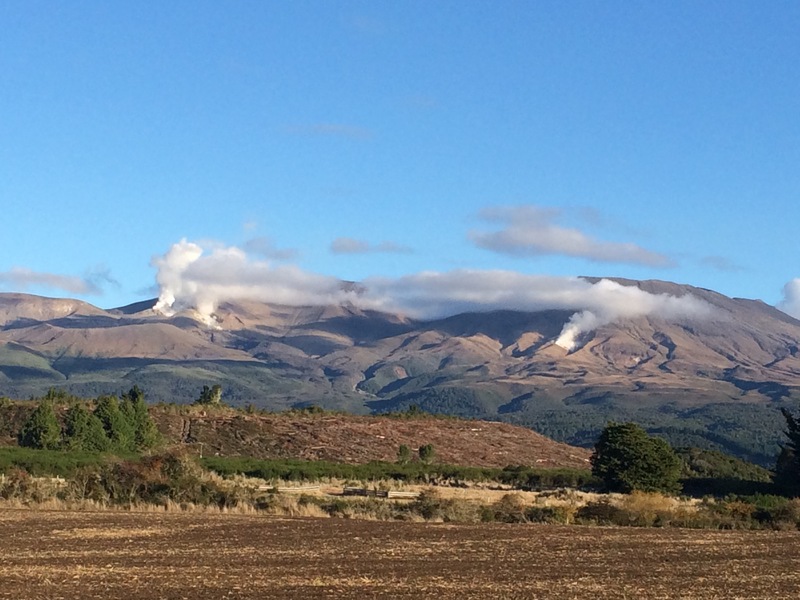 After spending a few days in Rotorua, we continued our scenic drive through Taupo, Wairakei, and Ohakune. 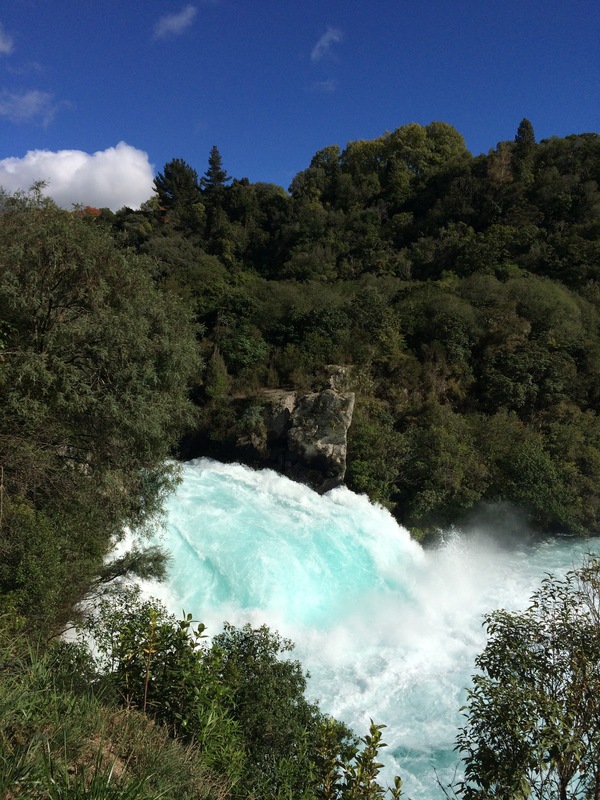 We drove around Lake Taupo and stopped at Huka Falls, a gushing splendor of white water. We stumbled upon Huka Prawn Park, where my kids happily spent the better part of the day learning about farm raised jumbo prawns, walking around the vast park, and catching our lunch with bamboo fishing poles. My 11-year-old daughter caught two buckets of jumbo prawns, and the restaurant cooked them up for us in a lemon butter sauce free of charge. We spent a night in the quaint little ski town of Ohakune and happened to catch a local parade celebration. The next morning, we drove up the mountain to admire the views. There was still snow on the peaks even in April. We continued our drive back up north to Auckland, admiring the vistas, thermal-vented mountains, and variety of landscapes along the way.